Next week, committee members of Codex, the UN-sponsored would-be global regulator, will be reviewing guidelines for genetically engineered (GE) foods. The US delegation to the committee says—surprise—that no labeling is needed! An URGENT new Action Alert —the deadline to send comments is TODAY. The Codex Committee on Food Labeling will meet May 9–13 in Québec City, Canada, where members will review the Codex guidelines on labeling food. 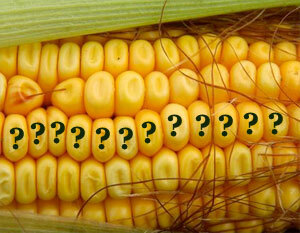 Among the items for review are the Codex labeling standards for genetically engineered foods. The Codex Alimentarius (Latin for “Food Code”) is a collection of internationally adopted food standards, guidelines, codes of practice, and other recommendations which supporters hope will become a global standard. The US is a Codex Committee member country. In preparation of the upcoming meeting in Canada, the US delegates held a public meeting in Washington, DC, on April 25 to discuss their draft position that they will present in Québec. ANH-USA attended that meeting—and the US position is pretty dismal. The US draft position is open for public comment only through May 2, so we are sending this newsletter out a little early. Of particular interest is the US position on GE labeling. Codex currently does not have any requirements for mandatory process labeling. US delegates said that there is no need for GE labeling! This means that the US delegation is advocating a position on GE labeling that is inconsistent with the perspective of US citizens. In a 2008 Consumers Union nationwide poll, 95 percent of respondents said they thought food from genetically engineered animals should be labeled. What is the difference between Codex and the EU harmonization of laws? There is a great deal of confusion over the standards put forth by the Codex Alimentarius and the recent EU “harmonization” of European regulations and laws, and we thought a little background might be helpful. The European Union has passed legislation affecting natural health in order to “harmonize” (read: control) laws across the EU. EU legislation comes in the form of both directives and regulations. Directives come into effect once they have been incorporated into the member state laws. Regulations come into force immediately across all EU member states. The Codex Alimentarius Commission, on the other hand, is an intergovernmental body that sets guidelines and standards with the stated goal of promoting “fair trade practices” and consumer protections in the global trade for food. The Commission deals with every facet of food. Its guidelines are not binding, but there is an implicit goal that member countries will modify their own national laws based or benchmarked against these global standards that have been set by the Codex Commission. There are 27 member states in the European Union, but over 170 member countries on the Codex Alimentarius Commission. There are over 30 committees within Codex, each dealing with specific areas of food—and decisions are based on consensus voting by member countries. The representatives of the member countries are usually bureaucrats and not democratically elected officials. The central problem is that Codex guidelines are usually influenced by big corporate interests and often ignore both consumer interests and common sense. This is evident in the extremely lax standards on GE labeling (even though most of its member states are strongly in favor of GE regulation). The EU process is not dissimilar from the Codex process. But it is a different process, albeit shaped in the same model as Codex. The EU process is further along than Codex, thus we can glean from EU developments much of what we can expect from Codex. EU has adopted extremely restrictive—one might say ridiculous—standards on vitamins and supplements. For example, the maximum strength permitted for a beta carotene capsule is the amount found in half a large carrot, while that for selenium would be no more than what is typically available in one-third of a Brazil nut. Because of Codex’s breadth, and because the US has proven to be in lock step with Codex all the way, we anticipate US support for similarly ridiculous and restrictive limits on dietary supplement potency. The US Codex Committee on Food Labeling (CCFL) only made its draft position available on April 25—giving the public less than a week to respond. We need to send in our comments TODAY, May 2, and ask the committee to revise its draft position—a consumer’s right to know is an important standard. The US should be a world leader, not an embarrassment on the world stage, supporting a bad standard.